Culture Agora, a free-accessible wiki platform dedicated to arts, culture and creative industries, is one of the largest long-term sustainable projects managed by CUMEDIAE, Culture and Media Agency Europe. 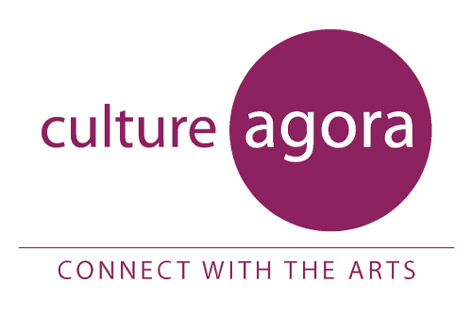 Culture Agora is a premium, easy-to-use, online meeting place for cultural organizations, professionals and many others interested in the arts and the creative sector. It facilitates the visibility of online content related to culture and offers a free efficient online tool for cultural professionals to identify the content of their interest. CUMEDIAE is based in Brussels. European Historic Houses Association is an association representing private owner’s interests with European political people. It federates 24 national associations of historic houses through Europe, ensuring themselves the relay with owners of cultural heritage. The European Historic Houses is based in Brussels. The Cologni Foundation for the Métiers d’Art is a private non profit organization. Franco Cologni, its President, created the Foundation in Milan in 1995, to accomplish a «new Renaissance» of the crafts and rescue the heritage of the métiers d’art from the threat of disappearance. With these founding purposes, the initiatives of the Cologni Foundation are chiefly addressed to the young and to the training of the next generations of artisans. The Foundation promotes, supports and carries out a number of cultural, scientific and educational programs. Fundesarte is since 1981 the leading institution in the promotion and development of Spanish craft enterprises. Its main goal is to manage projects to incorporate innovation in the craft sector as well as organise promotional activities, such as the National Crafts Awards. Currently Fundesarte is part of the Foundation EOI (School for Industrial Organisation). Identity, originality, skill and quality. Combination of tradition and modernity. Swiss Arts Crafts Association was created to support craftsmanship. The goal is to reinforce the coordination of the European Artistic Craft Days in Switzerland and to preserve and promote these crafts on a national level. The mission of the Swiss Association of Crafts is also to transmit the know-how by promoting learning and training in crafts. The association allows its members to reunite their strengths to support training companies by proposing them innovating models about training, by creating networks of trainers, by reducing their administrative tasks, by delegating some lessons to compensate the lack of vocational schools. AEuCC (Agrupación Europea de Cooperación Territorial Ciudades de la Cerámica / European Grouping of Territorial Cooperation Cities of Ceramics) is created in 2014. It groups together the Associations of Cities of Ceramics in Europe, based in Italy (AiCC), France (AfCC), Spain (AeCC), Romania (ArCC), Germany (AgCC) and Poland (AplCC). AEuCC is set up to develop territorial and transnational cooperation in the field of ceramic art and craft, mainly to create social and economic cohesion, by developing projects and services for the ceramic sector stakeholders. The Italian Association Towns of Ceramics (Associazione Italiana Città della Ceramica – A.I.C.C.) was set up in 1999. It is a non-profit association that aims at creating a national network of towns with a ceramics activities history. So that the single member communities can establish relations with reciprocal exchange of information and co-operation in the activities of support to their ceramics tradition, as well as support to a better knowledge of these activities both at a national and international level. To this end, the Association intends to work in co-operation with state and regional authorities, with local authorities, with ceramics producers, with bodies, foundations, institutions and different kinds of associations that are interested- both for organisational and statute reasons- in the knowledge, study, promotion and enhancement of Italian ceramics. In other words it aims at the creation of a pact of friendship among the centres with an old ceramics tradition, availing itself of the contribution of all members to reach the above-mentioned goals.